It’s all about data integration. Data integration means combining data from several different sources, which are stored using different techniques. 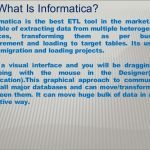 It provides a unified view of data.Informatica is very popular for data integration and data quality services.It is a successful ETL tool. 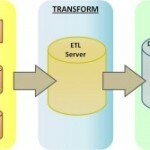 ETL means extract, transform, load.ETL covers a procedure of how the data are loaded to the data warehousefrom the source system. Informatica has capability to enable lean manufacturing, lean integration. It has high success rate. Informatica is not so expensive. 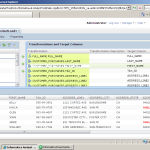 In many ETL tools, one needs to use a third party scheduler. But, Informatica has its own internal scheduler. It follows mainstream marketing strategy. 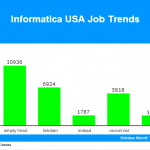 There are plenty of vacancies for Informatica aspirants. 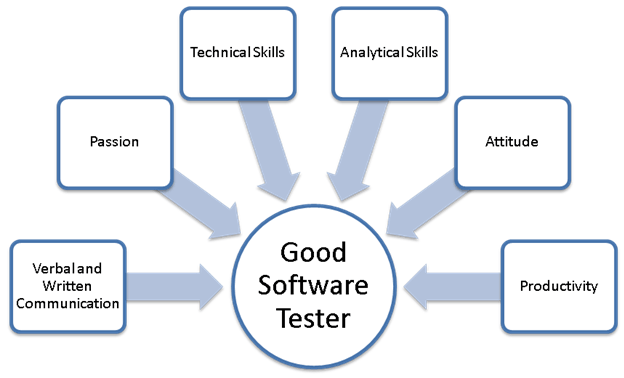 If you have sound knowledge in Informatica, then you can work as Informatica ETL Developer, Informatica Developer, Developer Analyst – informatica, Informatica MDM developer, Informatica Consultant, Informatica Administrator etc.